Sam have you ever played a meat organ? That guy is a scout: saying, "You would look great as a burger!" i'm calling for an interview right now! Well, we now know the origins of Hot Dog Homicide from GTA2. 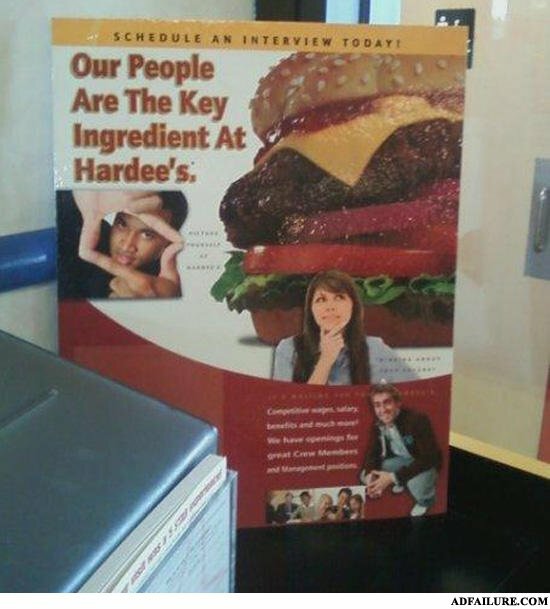 HARDEES IS PEOPLE HARDEES IS PEOPLE --- random person #1: "is that a soylent green joke?" - screaming man: "yes" - random person #2: "it wasnt funny" random person #3: "i thought it was" - me: " you are definitely still a virgin"
Hey, I ordered fries, not fingers! 1. what kind of people would buy this sick book? 2. and hardee? 2 soylent burgers and a large soda, to go. Where the food's the crime. what part(s) of people are the key ingredient????? hardee's is the same as carls jr.
Have you tried our new Soylent Burger? You'll never know the difference!